I may get a little bit of money soon and want to buy a dutch oven, what size is the le crueset one they use on every cooking show? but in real life is this dutch oven worth the price? if so what is the best size for everyday use? what size is the le crueset one they use on every cooking show? I don’t know what they use on cooking shows, but I think the most useful size is between 5 quarts to 7 quarts. I am not the biggest fan for enameled cast iron cookware because i feel there are always some other cookware which can do a better job. That being said, there are some jobs which these enameled cast iron Dutch Oven can do a good job and some they are just no suitable for. What do you plan to use yours for? It depends how many people you like to cook for. I love le creuset. I have a 5qt oval casserole. Good for a leg of lamb or a whole chicken, or just a vat of stew. My most used pieces though, are my two shallow buffet casseroles. The small is 2 1/4qt whilst my larger just says 30cm… I use these both several times a week. Could absolutely not live without them. My least fave by the way, is my 3.5 qt pot. It is black and I don’t care for the finish on the inside. It was part of a set that my husband got for 15 years service, ergo free, so I shouldn’t be picky! By the way, I suggest the moderator to move this to the cookware section. I have a seven quart oval and a five quart round and I use both of them all the time. If I were going to do it over again and had to just buy one, I’d definitely go for a round - either five or seven, depending on how many people you’re cooking for. Any enameled cast iron can go between the stovetop and the oven of course - but the round is better for the stovetop. I got the oval because I thought for braising things like pernil and legs of lamb and goat the shape was better, and it does work well. But I realize I could probably have gotten a round seven quart and the meat would have fit as easily. By the way my Le Creuset pots are maybe my two favorite pots ever - they function exactly the way they’re supposed to do and are the easiest things to clean I’ve ever cooked with. I’ve burned any number of sugary sauces in them and they cleaned up with a hot water soak. Yes they are expensive but if you live near an outlet or wait for sales you can get them cheaper. I bought the oval full price as a birthday present for Mr Rat back when we were a little more solvent - but the round I got on combination sale at Bloomingdales of all places at 65% off a year or so later. In these cases, you should be fine with the Le Cresuset. I love cast iron pots. 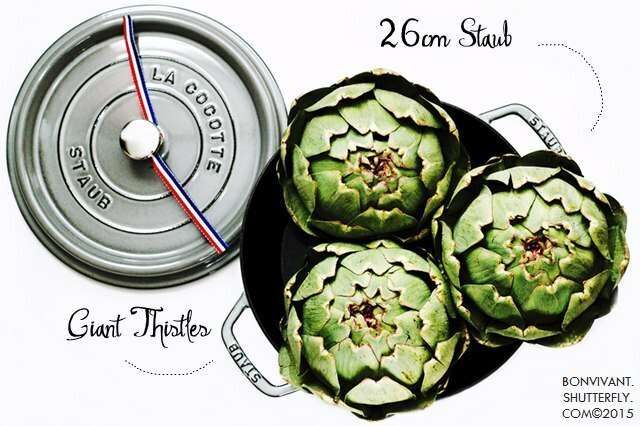 Personally, I prefer Staub pots than Le Cresuset. If you want to stick with Le Cresuset, make sure you buy the stainless steel knobs pots and do not take the ones with the traditional black Phenolic ones… (they can’t be heated more than 375ºF or else they crack). I love to cook. I’ve had my big brown Le Creuset pot for about 3 years now, which I got at their outlet, and it’s my all-time favorite pot for cooking. 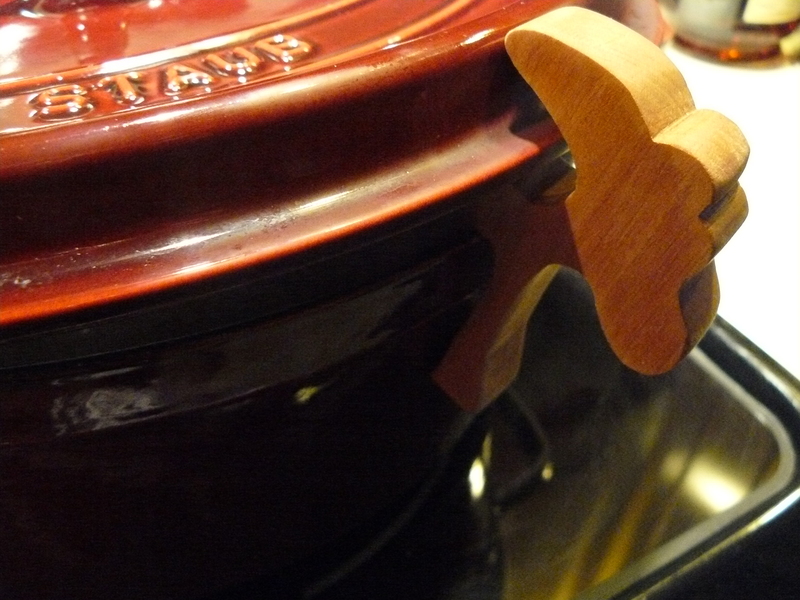 It makes pot roasts, soups, stews, chili, tomato sauce–you name it. They have all been delicious. Slow cooking is ideal in this pot, and I find myself looking for recipes just so that I can make them in it! I loved this pot so much that I bought other pieces in red. I must say, you have to have strong muscles to lift these monsters, but it is so worth it. I also love this pot just to boil spaghetti in. I haven’t tried the non-stick frying pans, since I have All-Clad for those, which are great too. I rearranged my whole kitchen to accomodate my Le Creuset pots so that they would be easily accessible for lifting. They are the crown jewels of my kitchen! Whenever I’m looking for a new pot, I usually read bestdutchoven-review.com to see what’s new. I love my Staub, too! Wouldn’t trade it for anything! 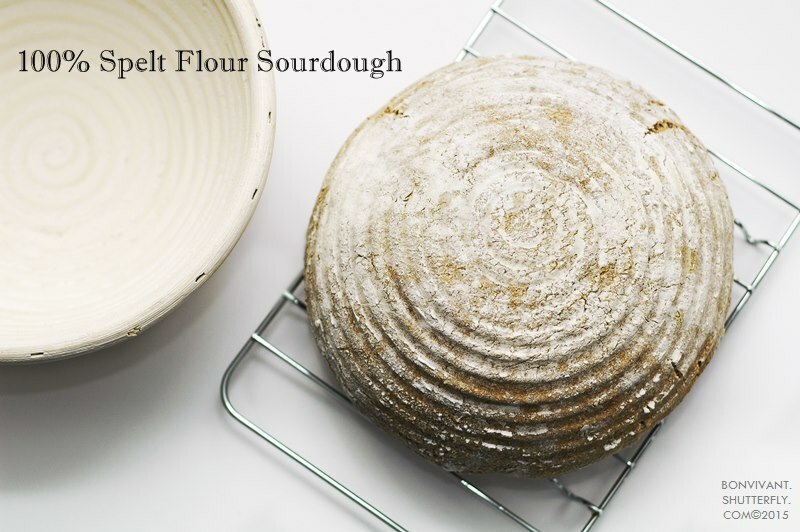 I also bake sourdoughs in mine! ETA: in some European languages it’s called “braising pot”. GORGEOUS, GORGEOUS! So very impressive! Now I want a round one, too. Having people to talk like this can get expensive. AH HA HA HA! Guess which one I have? The pomegranate is a stunner for sure. Lucky me received as a birthday present a few years back. The 5.5 round is the most versatile and best performer on the stovetop, IMO. I basically only ever use the 5.5 LC any longer, and only then for baking no-knead bread. I didn’t know artichokes can be this large. Between my Staub and my LC, I like the Staub much better, too. oh wow! 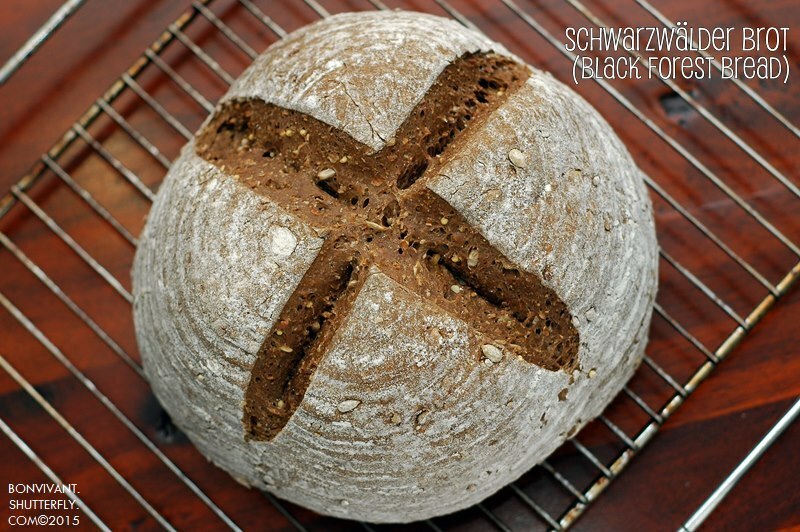 Can you share the recipe for the 100% spelt flour sourdough? I have a 5qt round that I can’t imagine life without. Totally my fault but after four years of beating the crap out of it the enamel inside finish was basically gone… I called Le Cruset to see if they could refinish the inside, they said mail it in, i did, and two weeks later they sent me a BRAND NEW one. Yeah. Amazing. Literally a lifetime guarantee. Look at the Le Crueset outlets or if you aren’t near one call and ask about sizes and colors to see of they can ship to you- it’s like half the usual retail, just discontinued colors- not flawed merchandise. I have Staub, Le Creuset and plain ole CI. I find them equally usable. Size-wise, just try to picture how you’ll use it.